If you're on the road a lot, you need a safe haven. When you have a Porsche, you'll want to drive it. After all, that's what it was made to do. And you should be able to enjoy driving it as carefree as possible. Always safe in the knowledge that we are by your side. With Porsche Motor Insurance and Porsche Tyre & Rim Insurance we offer reassuringly comprehensive protection that will get your car back on the road – fast! A trait typically associated with Porsche. Both of our insurance products were developed exclusively for Porsche drivers, meaning they can accommodate varying habits and needs. 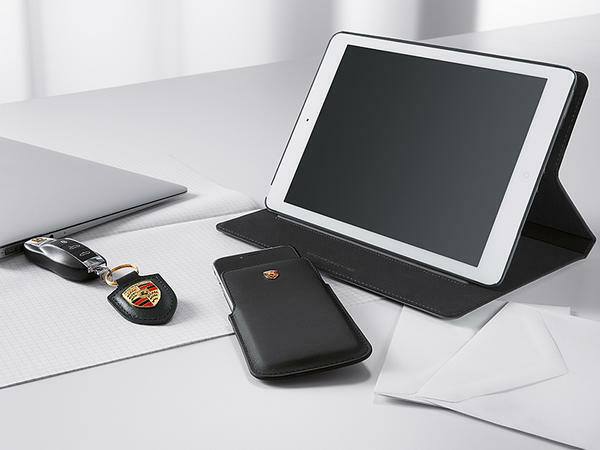 Our Porsche Motor Insurance Policy offers all the features you would expect from Porsche: excellent day-to-day practicality, reliability and a high level of performance. The cover means you can feel as safe as you do when driving your Porsche. Our Porsche Tyre & Rim Insurance Policy provides cover for your tyres & wheel rims when you need it most. It is a simple and cost effective solution to help you and your car remain on the road. Insurance Products are administered by Alliance Insurance Broking Services Pty Ltd (ACN - 095 376 882) (ABN – 77 095 376 882) (AFSL – 244127) (“Alliance”) and underwritten by various insurers. You should obtain and consider the Product Disclosure Statement (PDS) relating to the product before deciding whether to acquire it. A copy of the selected PDS can be obtained from Alliance by calling 1300 711 911. By entering into any contract of insurance, you acknowledge that you have not relied on any prior representations which are not expressly included in, or are otherwise inconsistent with, the PDS and Policy Wording. Neither Porsche nor any of its related companies have any liability in respect of this product. Porsche Financial Services Australia Pty Ltd (ABN 75 004 327 084) (“PFSA”) does not provide advice on this product based on any consideration of your personal objectives, financial situation or needs. If you purchase Insurance Products we may receive a commission. Please refer to the selected PDS and Policy Wording for full terms and conditions. PFSA is an Authorised Representative (AR Number – 416612) of Alliance.